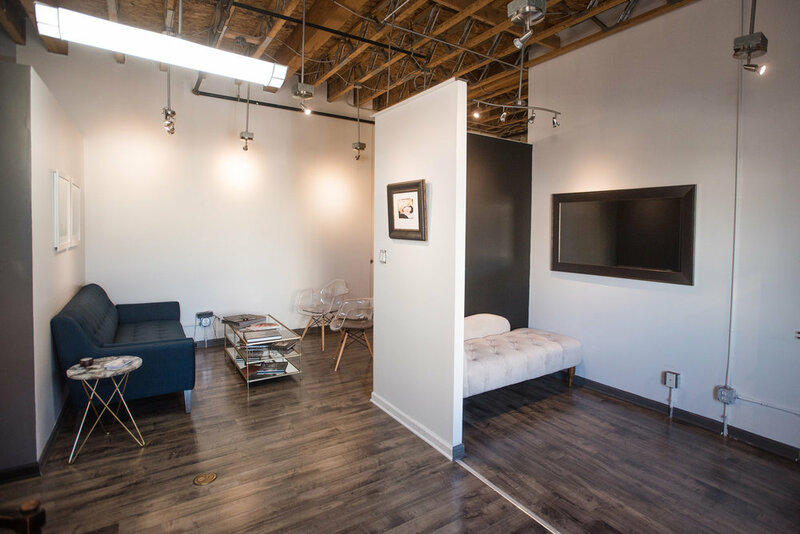 Colle Collective is a photo studio share in the heart of the Art District on Santa Fe. 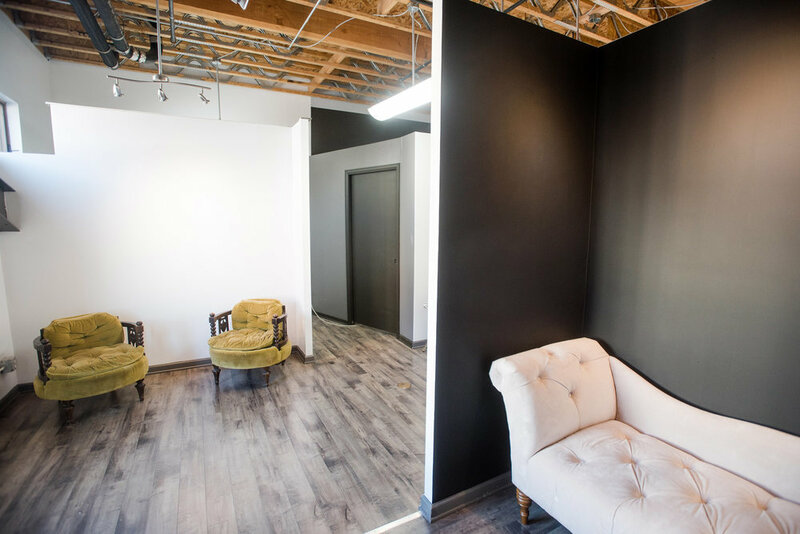 Split into two separate studio spaces, there is a combined 1000 square feet of a bright, remodeled space. Tons of natural light. Perfect for photo shoots and client meetings. Membership available as well as hourly rental for non-members. Membership allows you to partake in First Friday each month, as well as all Santa Fe Art District events. In April-October months, we had over 100 people come through. This is a time to show off your work, sell work (if you do any fine art, landscape, etc. ), and meet people. 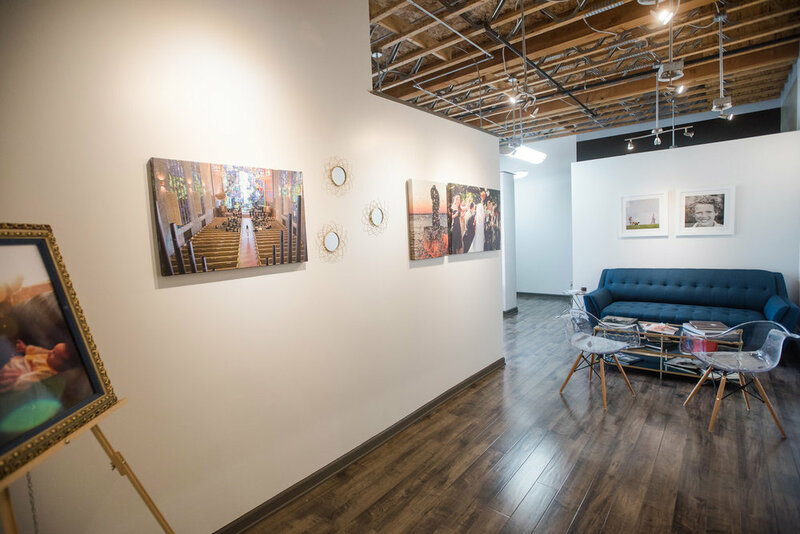 Your own artwork is on the walls when you are using the meeting + studio space. 1000 sq. 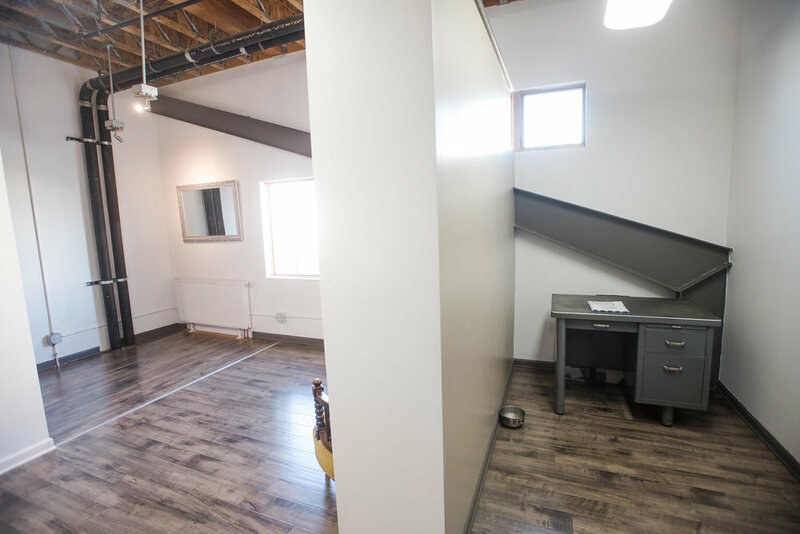 ft of meeting, shooting and editing space split into two separate studio spaces (500 sq ft each).